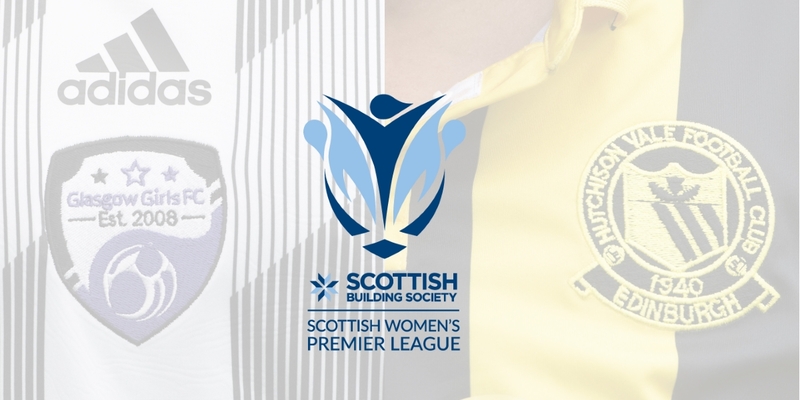 Glasgow Girls took all three points at Petershill Park on Sunday with a comfortable victory over Hutchison Vale in Scottish Building Society SWPL 2. John Doyle’s side had an incredible four goals ruled out for offside, the first of those coming inside the opening two minutes, but it wasn’t long until they took the lead. Visiting keeper Claire Whitaker was short with her clearance and Chloe Docherty took full advantage, sending the ball back over the stranded keeper into the empty net. The midfielder should have added a second moments later but she couldn’t divert her header on target. Lauren Kerr then saw her shot pushed onto the post before Docherty was also denied by a smart save from the keeper. Lauren Coleman then headed wide with Lucy McEwan next to go close, her shot from Emma Porteous’ cutback well held by Whitaker. Whitaker was then on hand to deny Porteous but she wasn’t able to stop Docherty making it two before the interval. The away side failed to clear their lines from a corner and Docherty was on hand to stick the ball into the back of the net. In their previous two league games, Hutchie Vale had lost 21 goals so the fact they were still in the game here gave them hope for the second period. Unfortunately for them, their start to the half was as bad as the first as Glasgow Girls made it three on 47 minutes. McEwan managed to force herself into a scoring position to stick the ball past Whitaker into the bottom corner. Six minutes later, Docherty managed to add the final part of her hat-trick when she finished off from close range after Coleman’s shot had been parried away. Kerr made it 5-0 just past the hour mark when she found the corner from 15 yards after some good link up play down the right. In the Glasgow Girls goal, Toni Harkness had a quiet afternoon, her only save was an easy one from Morgan Dempsey’s speculative shot from distance. Goals six and seven came within just three minutes of each other midway through the half and both went the way of forward McEwan to complete her hat-trick. Her second came when she was found by Coleman in the box, where she knocked the ball beyond Whitaker while the final goal was a clever lob over the keeper as she came out to the ball. 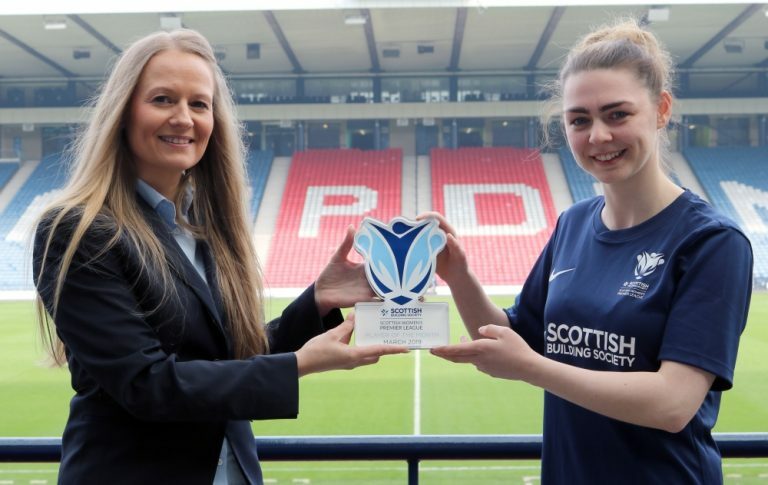 It should have been eight on 77 minutes, but Whitaker was on hand to deny both Sinead McLeod and Kirsty MacDonald before Eleanor Smith fired the third attempt over the bar. The final action of the game saw Coleman denied a goal by a smart save from Whitaker low to her left as the hosts eased to victory. Due to the international break and SWPL Cup semi-finals, these two have a while to wait for their next action, Glasgow Girls host Dundee United on Sunday April 21st while the capital side also face United, at the Saughton Enclosure on April 17th.